So you’ve decided to quit smoking!!! You’ve taken the first step towards freedom by wanting to stop and no doubt now you want to know how to do it. Maybe you’ve been talking to friends, especially those who’ve stopped before you, and if you’re lucky you’ll have been given some good stop smoking advice. If you’ve talked to the wrong people you’ll have had your head filled with the terrors and horrors of getting free from the nicotine trap. Very few ex smokers will tell you that stopping smoking was easy. Let’s face it, we’ve been told that stopping smoking can be as hard if not harder than coming off heroin and we’ve all heard how difficult that is. Yet, every single person who has stopped smoking stopped as a result of wanting to and from making a decision to stop somehow despite the difficulties. So congratulations, step one in your quest to stop smoking has been accomplished. Step two is, “What method am I going to use?” There’s a host of ways of quitting smoking, let’s look at some of them. The most widely used method is ‘the willpower method.” This was the only way to stop for years and years and while some people manage to quit smoking using willpower others fail miserably, over and over again. In actual fact, when willpower is used correctly it does work which is why some people stop while using it but the majority of people use it incorrectly and simply make the smoking problem worse. Yes, using willpower incorrectly actually makes the habit worse and if you’ve struggles to quit smoking for a long time this is probably what has happened to you. Using willpower alone you can try the cold turkey method of stopping smoking or the slow gradual reduction method. You an also use these methods of stopping smoking while using nicotine replacement therapy (NRT). Self-administered NRTs include nicotine gum, inhalers, and nasal sprays. While many people stop using prescription drugs many others fail as drugs do nothing to overcome the behavioural and psychological components of their tobacco habit. Without overcoming these psychological and behavioural patterns that are responsible for the urges to smoke some people find it either impossible to quit or very difficult. We have been indoctrinated to believe that smoking is a physical addiction and yet over 90% of all addiction is psychological. NRTs replace nicotine that has been lost when the smoker stops inhaling cigarettes yet it does nothing for the habit part of the addiction and that’s why it can still be very hard to stop using NRTs. Surprise, of all the researched methods, hypnosis comes out on top. 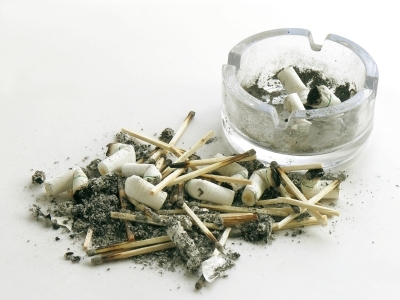 Hypnosis can be highly effective for smoking cessation, showing success rates of over 75%. Compare that to the success rates of trying to stop smoking on your own, 5%, or using NRTs, 25% and hypnosis looks like the best option. There is, in fact no other method supported by research that even comes close.